Match ends, Paris Saint Germain 3, Atlético de Madrid 2. Second Half ends, Paris Saint Germain 3, Atlético de Madrid 2. Foul by Azzeddine Toufiqui (Paris Saint Germain). Goal! Paris Saint Germain 3, Atlético de Madrid 2. Virgiliu Postolachi (Paris Saint Germain) left footed shot from outside the box to the top left corner. Assisted by Jean-Christophe Bahebeck. Corner, Paris Saint Germain. Conceded by Carlos Muñoz. Attempt saved. Timothy Weah (Paris Saint Germain) right footed shot from outside the box is saved in the top left corner. Assisted by Yacine Adli. Corner, Paris Saint Germain. Conceded by Francisco Montero. Own Goal by Antoine Bernede, Paris Saint Germain. Paris Saint Germain 2, Atlético de Madrid 2. Pinchi (Atlético de Madrid) wins a free kick in the defensive half. Attempt saved. Borja Garcés (Atlético de Madrid) right footed shot from the left side of the box is saved in the centre of the goal. Foul by Joaquín Muñoz (Atlético de Madrid). Pinchi (Atlético de Madrid) wins a free kick on the right wing. Attempt missed. Mikel Carro (Atlético de Madrid) right footed shot from outside the box misses to the right following a corner. Corner, Atlético de Madrid. Conceded by Moussa Sissako. Foul by Andrés Solano (Atlético de Madrid). Moussa Sissako (Paris Saint Germain) wins a free kick in the defensive half. Foul by Borja Garcés (Atlético de Madrid). Attempt blocked. Virgiliu Postolachi (Paris Saint Germain) left footed shot from outside the box is blocked. Assisted by Arthur Zagre. Roberto Olabe (Atlético de Madrid) wins a free kick in the attacking half. Attempt saved. Roberto Olabe (Atlético de Madrid) right footed shot from the centre of the box is saved in the centre of the goal. Goal! Paris Saint Germain 2, Atlético de Madrid 1. Victor Mollejo (Atlético de Madrid) right footed shot from the centre of the box to the bottom right corner following a corner. Corner, Atlético de Madrid. Conceded by Jean-Christophe Bahebeck. Moussa Sissako (Paris Saint Germain) is shown the yellow card for a bad foul. Borja Garcés (Atlético de Madrid) wins a free kick on the right wing. Goal! Paris Saint Germain 2, Atlético de Madrid 0. Moussa Diaby (Paris Saint Germain) left footed shot from outside the box to the bottom right corner. Assisted by Timothy Weah. Hand ball by Roberto Olabe (Atlético de Madrid). Joaquín Muñoz (Atlético de Madrid) wins a free kick on the left wing. Foul by Yacine Adli (Paris Saint Germain). Pinchi (Atlético de Madrid) wins a free kick in the attacking half. Attempt missed. Yacine Adli (Paris Saint Germain) header from the centre of the box is high and wide to the left. Assisted by Arthur Zagre with a cross. Attempt missed. Jean-Christophe Bahebeck (Paris Saint Germain) left footed shot from outside the box misses to the left. Assisted by Yacine Adli. Substitution, Atlético de Madrid. Borja Garcés replaces Luciano Vietto. Moussa Diaby (Paris Saint Germain) hits the bar with a left footed shot from outside the box. Substitution, Atlético de Madrid. Andrés Solano replaces Kevin Gameiro. 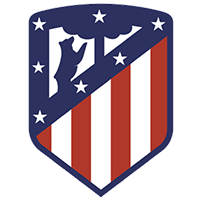 Substitution, Atlético de Madrid. Carlos Muñoz replaces Juanfran. Substitution, Atlético de Madrid. Pinchi replaces Ángel Correa. Jean-Christophe Bahebeck (Paris Saint Germain) wins a free kick in the defensive half. Substitution, Atlético de Madrid. Victor Mollejo replaces Rodrigo. Attempt saved. Moussa Diaby (Paris Saint Germain) left footed shot from the left side of the box is saved in the centre of the goal. Attempt blocked. Arthur Zagre (Paris Saint Germain) right footed shot from the left side of the box is blocked. Attempt missed. Mikel Carro (Atlético de Madrid) right footed shot from the centre of the box misses to the left. Assisted by Juanfran. Attempt missed. Joaquín Muñoz (Atlético de Madrid) right footed shot from the left side of the six yard box is close, but misses to the left. Assisted by Juanfran. Substitution, Paris Saint Germain. Jean-Christophe Bahebeck replaces Loïc Mbe Soh because of an injury. Delay in match Loïc Mbe Soh (Paris Saint Germain) because of an injury. Foul by Alexandre Fressange (Paris Saint Germain). Attempt saved. Timothy Weah (Paris Saint Germain) right footed shot from the centre of the box is saved in the centre of the goal. Assisted by Moussa Diaby. Attempt saved. Kevin Gameiro (Atlético de Madrid) right footed shot from the centre of the box is saved in the bottom left corner. Assisted by Ángel Correa. Attempt missed. Timothy Weah (Paris Saint Germain) right footed shot from the centre of the box is close, but misses to the right. Corner, Atlético de Madrid. Conceded by Arthur Zagre. Substitution, Paris Saint Germain. Virgiliu Postolachi replaces Alec Georgen because of an injury. Attempt missed. Rodrigo (Atlético de Madrid) header from the centre of the box is just a bit too high. Assisted by Ángel Correa with a cross following a corner. Substitution, Paris Saint Germain. Loïc Mbe Soh replaces Stanley N'Soki. Delay in match Alec Georgen (Paris Saint Germain) because of an injury. Substitution, Paris Saint Germain. Alec Georgen replaces Kevin Rimane. Substitution, Paris Saint Germain. Moussa Sissako replaces Lass Diarra. Substitution, Paris Saint Germain. Timothy Weah replaces Layvin Kurzawa. Substitution, Paris Saint Germain. Antoine Bernede replaces Marco Verratti. Substitution, Paris Saint Germain. Yacine Adli replaces Giovani Lo Celso. Substitution, Paris Saint Germain. Alexandre Fressange replaces Ángel Di María. Substitution, Paris Saint Germain. Azzeddine Toufiqui replaces Adrien Rabiot. Substitution, Paris Saint Germain. Arthur Zagre replaces Colin Dagba. First Half ends, Paris Saint Germain 1, Atlético de Madrid 0. Attempt saved. Antonio Moya (Atlético de Madrid) left footed shot from outside the box is saved in the bottom right corner. Corner, Atlético de Madrid. Conceded by Stanley N'Soki. Attempt blocked. Luciano Vietto (Atlético de Madrid) right footed shot from the centre of the box is blocked. Assisted by Rodrigo. Goal! Paris Saint Germain 1, Atlético de Madrid 0. Christopher Nkunku (Paris Saint Germain) right footed shot from very close range to the bottom left corner. Attempt blocked. Layvin Kurzawa (Paris Saint Germain) right footed shot from the centre of the box is blocked. Assisted by Colin Dagba with a cross. Attempt saved. Giovani Lo Celso (Paris Saint Germain) left footed shot from outside the box is saved in the bottom right corner. Assisted by Adrien Rabiot. Mikel Carro (Atlético de Madrid) wins a free kick in the defensive half. Attempt blocked. Stanley N'Soki (Paris Saint Germain) left footed shot from outside the box is blocked. Assisted by Christopher Nkunku. Attempt missed. Ángel Di María (Paris Saint Germain) left footed shot from outside the box misses to the right. Assisted by Giovani Lo Celso. Corner, Paris Saint Germain. Conceded by Mikel Carro. Attempt missed. Layvin Kurzawa (Paris Saint Germain) left footed shot from the right side of the box misses to the right. Assisted by Adrien Rabiot with a cross. Thomas Partey (Atlético de Madrid) wins a free kick on the left wing. Foul by Mikel Carro (Atlético de Madrid). Attempt missed. Kevin Gameiro (Atlético de Madrid) right footed shot from the centre of the box is too high. Assisted by Ángel Correa with a through ball. Attempt missed. Christopher Nkunku (Paris Saint Germain) header from the centre of the box misses to the left. Attempt blocked. Giovani Lo Celso (Paris Saint Germain) left footed shot from outside the box is blocked. Assisted by Colin Dagba. Roberto Olabe (Atlético de Madrid) wins a free kick in the defensive half.